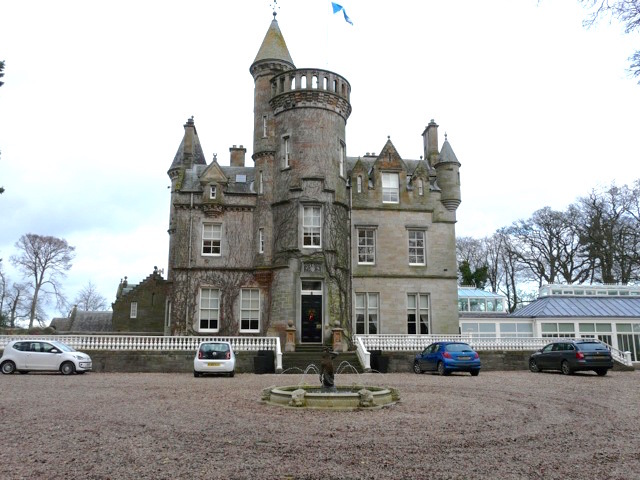 Front exterior of turreted castle. Gravelled driveway with small fountain in the middle. Stone steps with white painted stone walkway either side. Glass extension to the right.